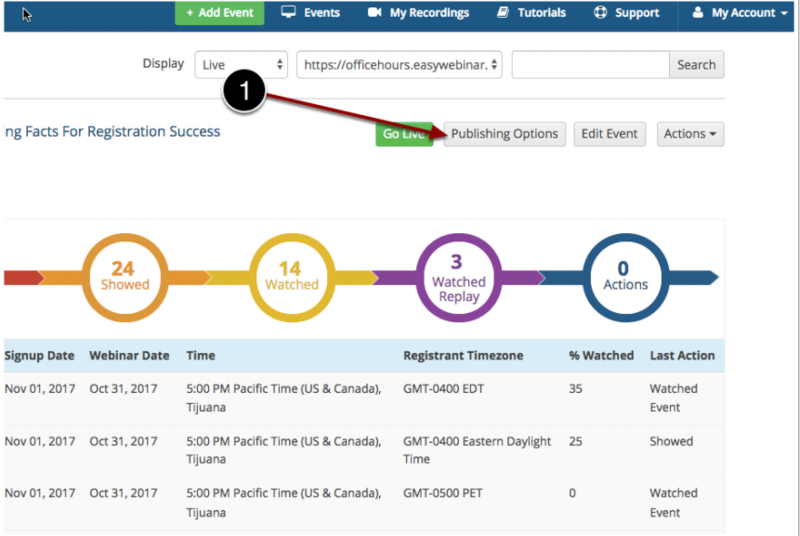 Do you want to use your own custom registration page? 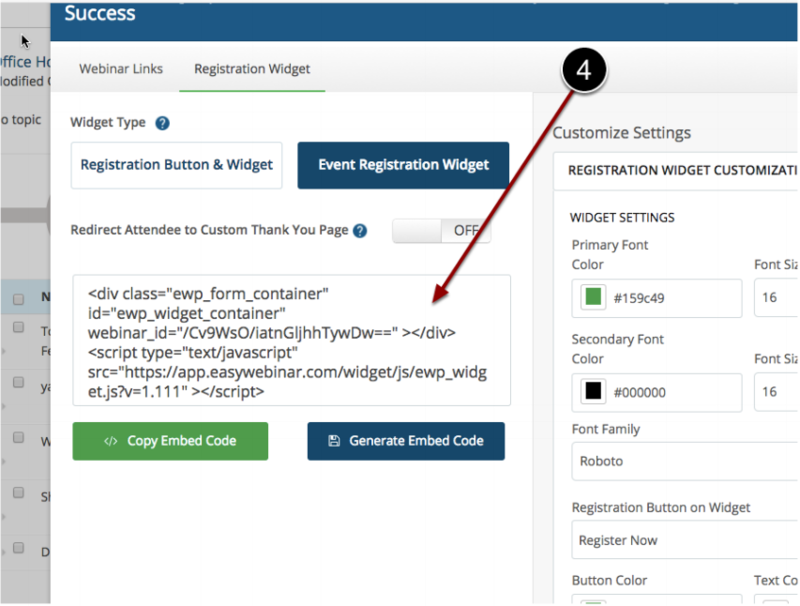 You can get the widget code and add it to any page that will accept html code. 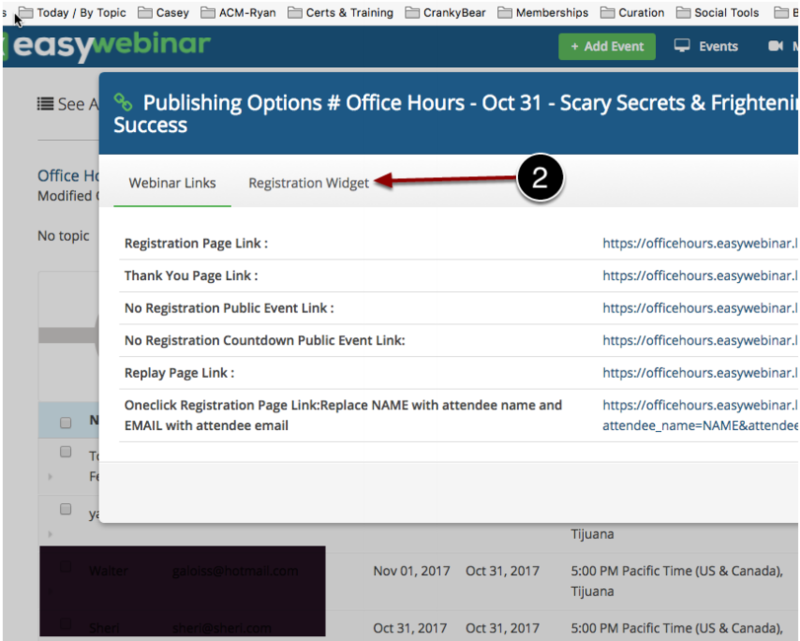 One is a button that when clicked on will open up a lightbox and then display the Event Registration Widget. 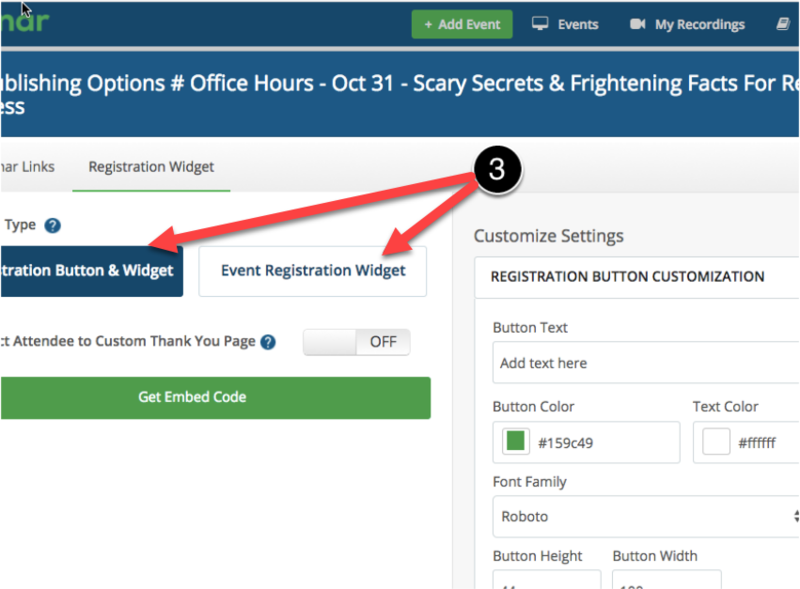 The other is if you want the Event Registration Widget on the page itself or within your own button on your site. Once you choose you will see the code. After your design edits you click on generate Embed code, then copy embed code. Once you copy it you can go to your site and paste it within there.